Thank you for taking some thoughtful time to reflect on the class and give me some feedback. I truly appreciate it! CLICK HERE to take the survey. Your responses will be anonymous. The Spanish 1b final exam will be on Wednesday (May 27), Thursday (May 28), and Friday (May 29 - if needed). The exam includes all topics learned during second semester. 1. I can correctly use definite and indefinite articles (the, a, an, some). 2. I can correctly conjugate regular –ar, –er, and –ir verbs. 3. I can correctly conjugate the irregular verb ir (to go). pedir (e -> i: to order), servir (e -> i: to serve), and preferir (e -> ie: to prefer). 5. I can correctly use ir + a + an infinitive verb to talk about what someone is going to do. 6. I can correctly conjugate the verb hacer (to do/make) and salir (to leave/go out) which have an irregular yo forms (yo-to-go). 7. I can correctly use indirect object pronouns (me, te, le, nos, os, les) with the verbs gustar and encantar to talk about what I like and love. I can also use IOPs with the verb quedar to talk about how something fits. 8. I can correctly conjugate gustar, encantar, and quedar to the singular or plural forms. 9. I can correctly use prepositions to describe where places are located. 10. I can correctly use demonstratives (this, these, that, those). 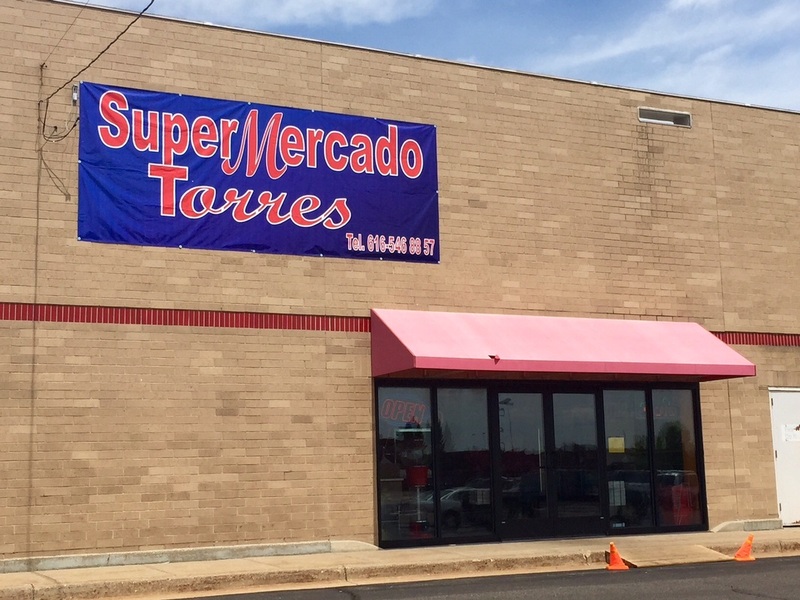 The Spanish classes will be going to Super Mercado Torres on Monday, June 1! Please turn in your permission form and $5 by TOMORROW (Friday, May 22). Thank you!! For more information or to print another permission form, open the document to the left. I'm looking forward to this fantastic experience for you! Your assessment on 4.3 La comida is tomorrow, May 22. It is a reading assessment where you will read a menu and answer questions. Be familiar with the vocabulary and verbs in this unit. Use your paper or Quizlet to study. 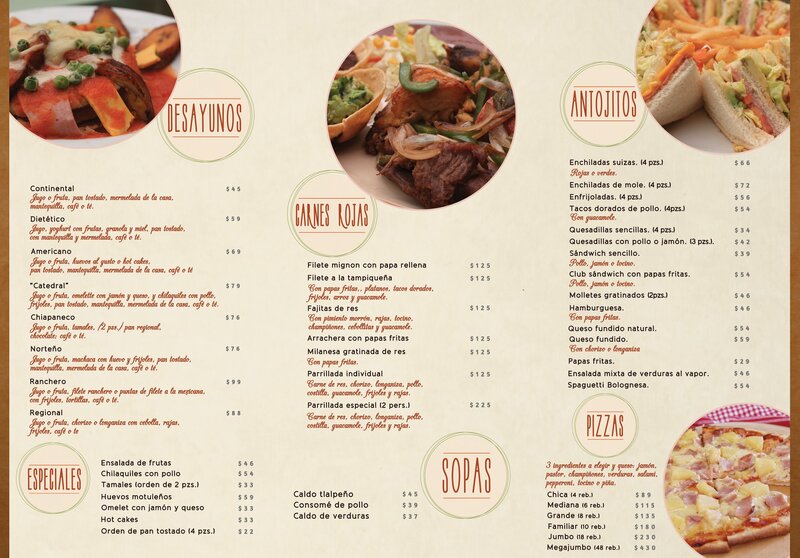 Below is the Real World Spanish page for you to download if you happen to misplace yours. There will be a listening assessment on Wednesday, May 13. Please be familiar with the clothing words and shopping phrases from 4.2 Las compras. Watch and listen to these videos about shopping. See if you can figure out the main point, some details they talk about, and also the vocabulary words you know. 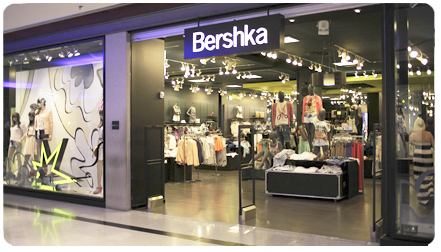 Bershka es una tienda muy popular en España, México, y muchos otros paises. ¡Vas a ir de compras! Cuando vas de compras, por favor llena esta forma de google. The PM Spanish classes will have their cinco de mayo fiesta on Thursday, May 7. The AM Spanish classes will have their cinco de mayo fiesta on Friday, May 8. 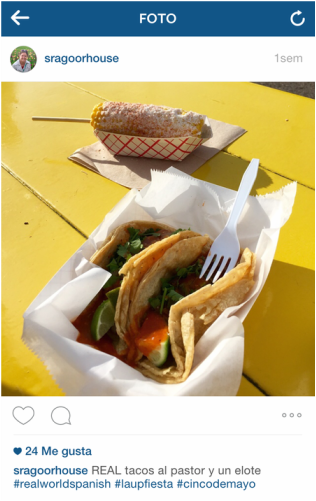 If you're able to bring in some food or drink (Jarritos), that's great! Thanks!